Such access has become a recurring theme in the monologues of many government authorities, with FBI director James Comey arguing in a recent blog that current trends will soon see the ubiquity of “universal strong encryption” that only allows sender and recipient to see messages – but warned that this trend is “in tension” with the legally supported idea of “appropriate” access to citizens' communications. “In universal strong encryption,” Comey wrote, “I see something that is with us already and growing every day that will inexorably affect my ability to do [my] job” to keep people safe. The latest volley against increased government surveillance comes as a group of security experts warned in a recently published paper that the key-under-doormat approach would amount to “extraordinary access mandates” that would cause even more damage to the integrity of the online environment than similar, unsuccessful efforts attempted by government bodies' failed Clipper chip initiative in the 1990s. “In the wake of the growing economic and social cost of the fundamental insecurity of today's Internet environment, any proposals that alter the security dynamics online should be approached with caution,” the 15 authors of the report (PDF here) warn. 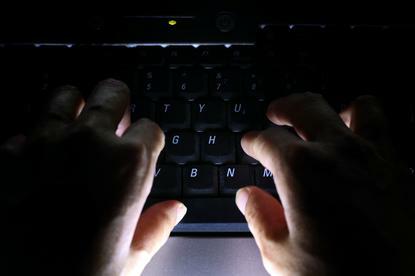 The high-profile academics – which include university professors in the US and UK, the founders of firms like RSA Security and Verisign, and cryptographers such as Whitfield Diffie, the inventor of public-key cryptography – warned about issues ranging from a loss of public trust in secure solutions, to the risk that mooted encryption-access mandates would drive cybercriminals to “noncompliant” messaging tools, to the challenges of building and maintaining an effective escrow system for management of encryption keys. The ultimate issue, the authors have asserted, is that there is no way to reliably build back-door access mechanisms that can be utilised by law-enforcement authorities but not exploited by malicious, unauthorised parties. The Australian government has been grappling with the issue of access to privileged or protected communications, with the recent passage of controversial metadata retention legislation hailed by many as a significant and worrying step towards greater government intrusion into citizens' communications.